Mouldmade of 100% cotton, this natural white paper yields exceptional depth of color with a velvety fine art texture. The surface of the paper becomes an inherent part of the finished print, without overwhelming the image, but adding a fine art element to the composition. 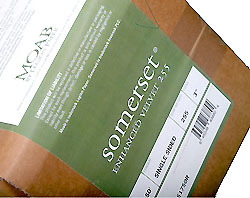 Somerset Enhanced was one of the first inkjet fine art papers to address the needs of photographers and artists nearly 10 years ago. 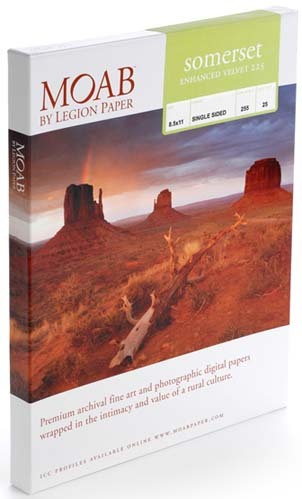 It continues to be a staple for fine art reproduction and photography. Perfect for limited editions demanding a consistent art feel. Mouldmade 100% Cotton English Tradition, with a velvety fine art soft texture, 225gsm, English Made, Pigment or Dye.